Finding Out All About Premier League Primary Stars…One Year On! Last week I headed to a Primary School in London to hear all about Premier League Primary Stars and how it was going one year after it launched. Premier League Primary Stars is an educational programme for all primary schools across England and Wales. With an ambitious goal to engage 10,000 schools by 2019, they have already smashed this by engaging more than 15,000 primary schools already. Which is a fantastic achievement. When I arrived at the event last week with several bloggers, I didn’t know that much about Premier League Primary Stars and I’m fairly sure that Alice’s school hasn’t been involved yet. I learnt so much about the programme and I was amazed at how much work had gone into this educational programme. They really did understand what schools need and how to motivate children. It’s not just in the classroom that they’ve made a difference. Children have had the opportunities that they could only dream of. 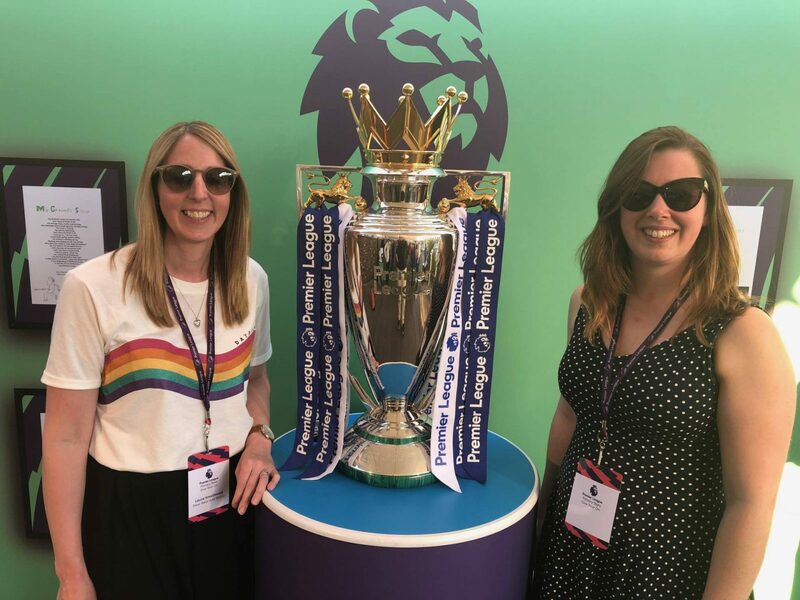 The Premier League Trophy has visited 55 schools, over 1000 schools have competed in the Premier League Primary Stars football tournament and 8732 kit and equipment packs have been sent out to schools. The children have been taken out of school and visited their local football clubs for their ‘best lesson ever’. We got to watch this video last week and you could see the joy and amazement in their faces. 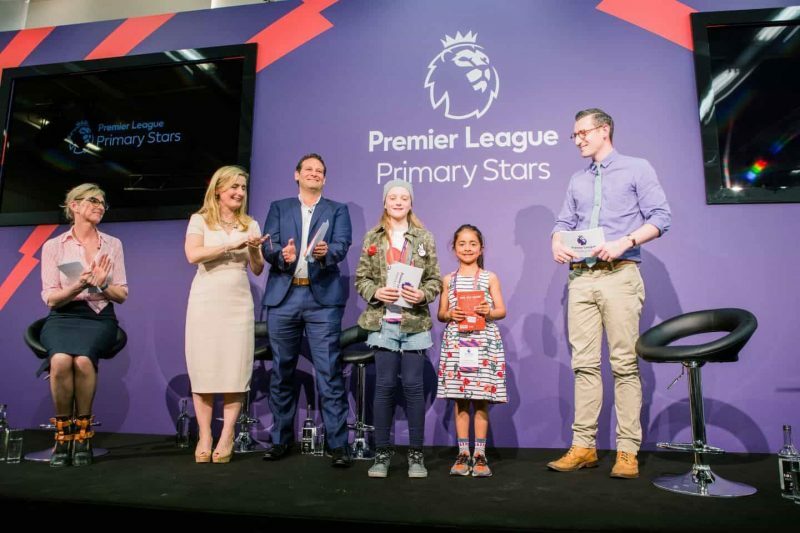 As if all that wasn’t enough, last October they launched the Premier League Writing Stars competition which formed part of the literacy resources package they provided. It challenged children aged between five and eleven years old to write a poem about resilience. Everyone was amazed that they received 25,200 entries, which is an incredible achievement. What’s even more amazing is that the best poems have made it into a published book, which I was lucky enough to receive. 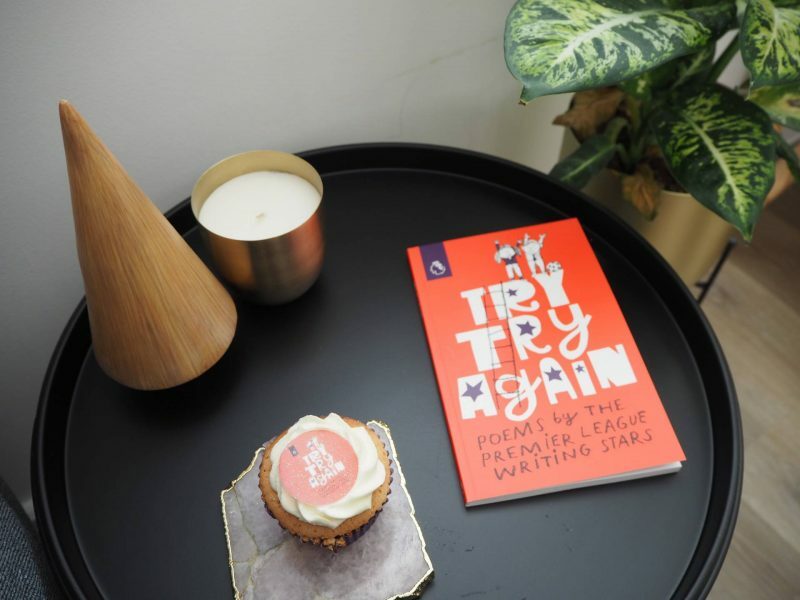 The book ‘Try Try Again’ contains so many of the children’s poems, but it also includes poems written by other people that are involved in the programme, including Ben Shepherd and Alan Shearer. There were two winners from the Premier League Writing Stars competition and last week at the event we got to hear the two winning poems. The first one was written by a six year old little girl and I was truly amazed that someone so young wrote it. The second poem was written by a ten year old and well, I was lost for words over the structure, the thought process, the words and the end result is a beautiful poem. You really need to get hold of this book, you won’t be disappointed. During the event last week we were lucky enough to chat to Lauren Child, the author of Charlie and Lola books, which my girls love. Lauren spoke about how different subjects link together can really help to motivate children, an example they showed was a little boy called Gethyn’s, who did not enjoy writing and was totally unengaged. 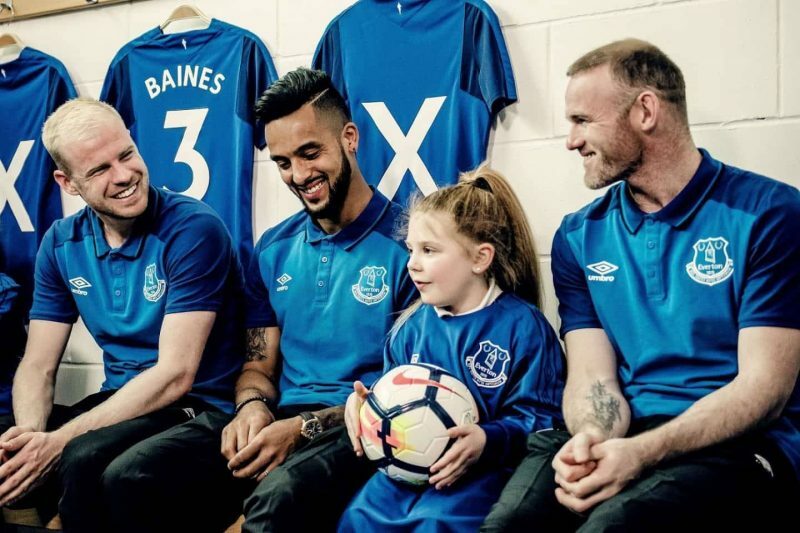 With the support from Premier League Primary Stars they asked him to write a football match report and this little boy who normally struggled to write a few sentences, wrote pages and pages. It was truly inspiring to see the difference being made. Alice loves to write, but she tends to think big and then gets lost along the way as she is writing. She is five years old and we’ve been working on her starting small, going over the sentences in her mind before starting to write to be clear what she is writing. Lauren chatted about the value of a good teacher and I know from my own personal experience that this makes a massive difference. Luckily Alice has amazing teachers, who have really helped her over this last year. I also do a lot of work with her at home, doing the homework that she receives and more. I was really pleased to see that Premier League Primary Stars now offers activities for parents and children to use at home, all for free on their site. Which I will definitely be using with Alice. We got to listen to Richard Scudamore last week and he shared with us firstly how truly amazed he was with the success of the programme, but also his vision for the future. He biggest focus is to reach the remaining 5,000 schools that haven’t yet engaged in the programme and with Alice’s school being one of these, I’m going to take the time to speak to them about it and find out their thoughts about being involved. They are also working in partnership with the BBC to introduce the Super Movers campaign, which encourages children to get active throughout the day. You can find out all Premier League Primary Stars here. I really enjoyed the event last week, it has opened my eyes to a programme that I was not familiar with, yet it’s helping thousands of children every day. The success of Premier League Primary Stars speaks for itself, with the number of schools, children and people involved and I can’t wait to see what they achieve this year. Disclosure: I was kindly invited to the Premier League Primary Stars event and I was compensated for my time. All views and opinions are my own. This sounds a great campaign and a great success story that it’s made such a difference within a year! This sounds like an awesome campaign and great that you could be invited along to see the 1 year success! It was fab to see you at this event Laura. I had such a brilliant time and was utterly inspired by the whole thing. I will also be talking to Libby’s school about it, what an amazing opportunity. What an amazing time you had and what a wonderful campaign this is. What a wonderful initiative. I love that it’s not just focusing on sport, but linking it with writing, and with emotional maturity that will stay with these children forever. How lucky are these children to get to be a part of this! This is amazing. What a great thing they are doing. I wonder if my daughter’s school has been involved, she is only in the nursery which is a little bit separate. I love the focus on the poetry. This is wonderful such a great idea. I don’t think our school here has been involved. Writing is such a great way of expression. I love this campaign, anything that encourages writing it a great idea in my eyes! I know they did this at Eva’s school in the older classes! Sounds like a great event too, gutted I missed you! I think this is such a great campaign to get more children active. I also think that sport is such a great escape for children going through a difficult time.